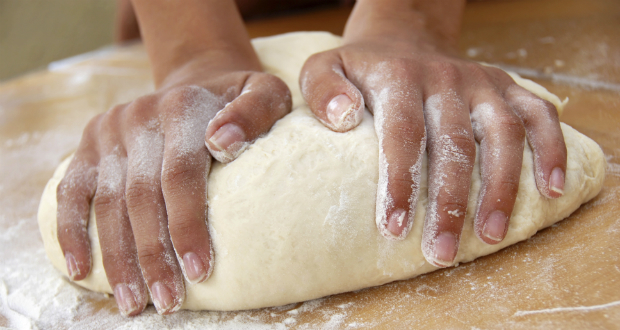 As with alcohol, active yeast found in uncooked dough can be a silent killer. Instead of alcohol consumption and hops poisoning, the real dangers in uncooked dough is in the active ingredients in yeast. When dough is formed, it is left out in a warm space to “rise.” It is this same rising that is so dangerous for dogs. When a pet accidentally eats or is fed raw dough, the active yeast meets the warm and moist stomach and digestive system of the dog and begins to expand causing bloat. Too much bloat can cause a very dangerous effect called gastric-dilatation volvulus (GDV), or twisted stomach. Signs of GDV include weakness, collapsing, increased heart rate, and severe panting. GDV can be deadly.